Saving Energy Group is an authorised reseller of Biolectric micro AD plants in the UK by the official UK distributor Solcap Energy. 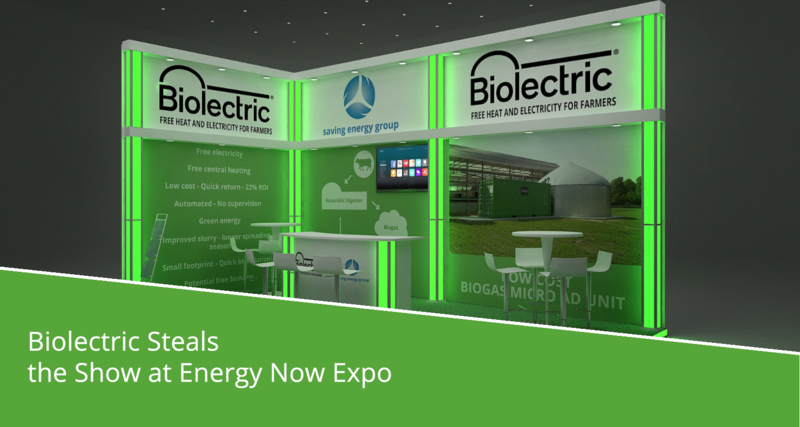 Biolectric, a Belgian company, are working together with Solcap Energy & the Saving Energy Group to market Biolectric Micro AD systems on farms across the United Kingdom. Saving Energy Group's role is to provide informative energy saving solutions to businesses and individuals and assist them where necessary with access to funding. Saving Energy Group's goal is to utilise government funding streams that are in place to help farms reduce their carbon footprint, and therefore their energy costs. We are helping farmers to understand the benefits and opportunities of installing a Biolectric Micro AD system on their farm. Biolectric, and their UK distributer Solcap Energy, are working in cooperation with the Saving Energy Group to help identify dairy farms that would qualify for support. Check to see if the system would be appropriate for your farm. By placing a Biolectric biogas installation your farm, this waste and its CH4 emission are converted into green energy and heat, which can be used on the farm. The installation of the Biolectric UK system is quick, automated, needs no supervision and the residual manure can be used as fertiliser. You receive all of the heat and the electricity to use on the farm and in your houses so no more fuel bills! Depending on how it is funded the Biolectric machine can be fully installed, maintained and insured at no cost to you or you can receive RHI and FIT payments once energy has been exported to the national grid. As part of the government’s strategy to achieve ambitious targets to reduce the UK's greenhouse emissions, they are offering dairy farmers the funding to become completely off grid, removing all energy bills and reducing the carbon footprint of their farm by investing in a new Biolectric UK Micro AD technology. For a full government funded Biolectric UK system, you will require a herd of at least 250 Dairy Cows, producing 1500m2 of liquid manure per year. Additionally, you will require 200m2 of available space on the farm to house the system. You receive a ready-to-use pocket digester with a capacity from 22 kW to 44 kW. An eﬀortless, fully automatic mono digester creating your own green energy on the basis of your farm’s manure. You no longer depend on energy suppliers and their rising energy prices. The system is fully automated, installed and working within 6 days.